QUEENS — Ameer Hassoun works in Brooklyn but wants to call Queens his home. The pediatric emergency doctor with SUNY Downstate at Kings County Hospital started his hunt to buy an apartment about a month ago, first checking out Downtown Brooklyn and Brooklyn Heights. Turned off by the prices and bidding wars, he shifted his focus to Long Island City, where he's been renting an apartment overlooking the waterfront for the past year. "After I come home from a busy night shift I need a quiet place to relax," Hassoun, 37, said. 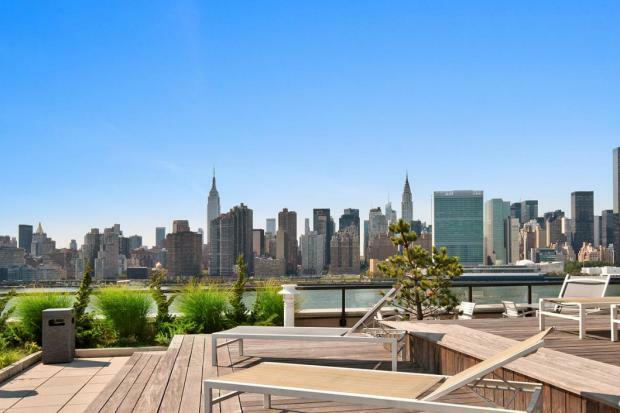 "I want to look at the East River from my balcony without any noise and just have a peaceful evening." Brooklyn’s overheated real estate market is pushing house hunters into Queens, said Rick Rosa, a Douglas Elliman real estate agent who has been working in Long Island City since 1999. “With a hot neighborhood comes increased pricing and low inventory. It pushes people into buying in areas they would not have considered,” Rosa said. Rosa had never witnessed the crossover of house hunters from Brooklyn to Long Island City before this year, he said, adding that the area's new buildings that are full of amenities have been a big draw for many young families. The median sales price in Brooklyn spiked 15.3 percent over the past year to $550,000, and the average sales price jumped 14.7 percent to $671,964, according to Douglas Elliman’s second quarter market report released Thursday. Even though there weren’t many deals to be had — the listing discount was 0.1 percent compared to 4 percent a year ago — homes spent fewer days on the market. Queens is now reaping the benefits of Brooklyn’s rising prices and dropping inventory, said Jonathan Miller, a real estate expert who authored the Elliman report, noting that Kings County saw its listing inventory drop a whopping 18.5 percent. As Brooklyn has become a “destination” rather than a “cheaper alternative” to Manhattan, the Queens' market is experiencing growth, Miller said. The median sales price in Queens increased 9.9 percent to $390,000 and the average sales price rose 10.6 percent to $441,417, according to the Elliman report. Listing discounts also fell, from 6.9 percent to 5.8 percent. “Queens really is coming into its own this year,” Miller said. “Markets like Long Island City are certainly thriving and are the direct beneficiaries [of] the search for affordability in Brooklyn." Hassoun, who is looking for a one-bedroom in the $600,000 to $700,000 range, was also drawn to Long Island City because of the easy transportation by train and car (his drive to work in Central Brooklyn takes 15 to 35 minutes, depending on traffic), the proximity to Midtown and to family in Queens and the prospect of getting into an "up-and-coming area." But he's now wondering if he's almost too late. "Right now it’s becoming so competitive here," Hassoun said. "I’m consulting with my friends and family to get an opinion, and in a couple of days, [the apartments I'm looking at] are already in contract and off the market."